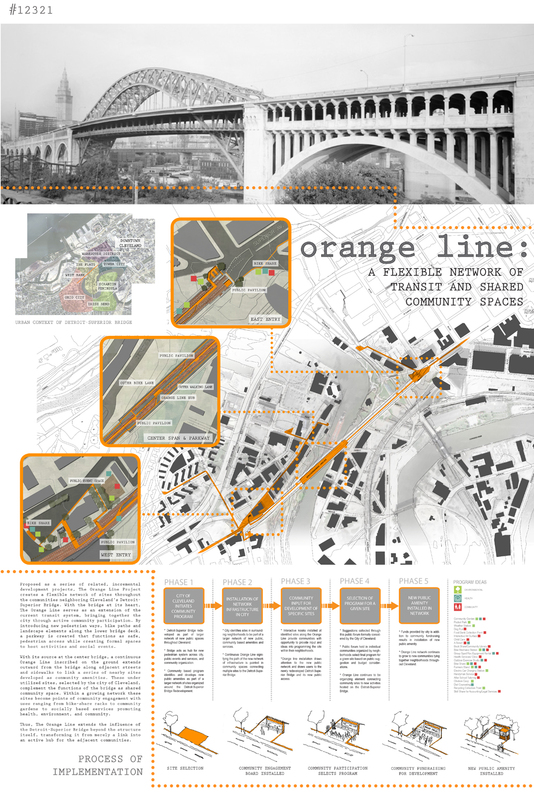 Overview: Proposed as a series of related, incremental development projects, The Orange Line Project creates a flexible network of sites throughout the communities neighboring Cleveland’s Detroit-Superior Bridge. 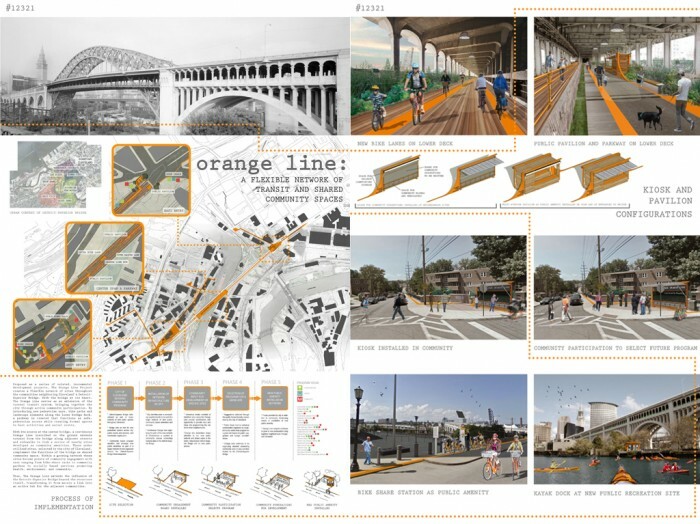 With the bridge at its heart, The Orange Line serves as an extension of the current transit system, bringing together the city through active community participation. By introducing new pedestrian ways, bike paths and landscape elements along the lower bridge deck, a parkway is created that functions as safe, pedestrian access while creating formal spaces to host activities and social events. 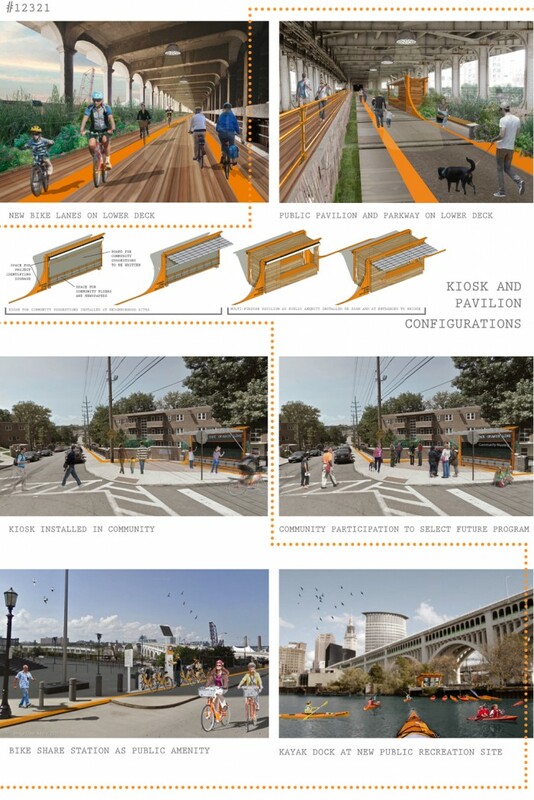 With its source at the center bridge, a continuous Orange Line inscribed on the ground extends outward from the bridge along adjacent streets and sidewalks to link a series of nearby sites developed as community amenities. These underutilized sites, selected by the city of Cleveland, complement the functions of the bridge as shared community space. Within a growing network these sites become points of community engagement with uses ranging from bike-share racks to community gardens to socially based services promoting health, environment, and community. Thus, The Orange Line extends the influence of the Detroit-Superior Bridge beyond the structure itself, transforming it from merely a link into an active hub for the adjacent communities.